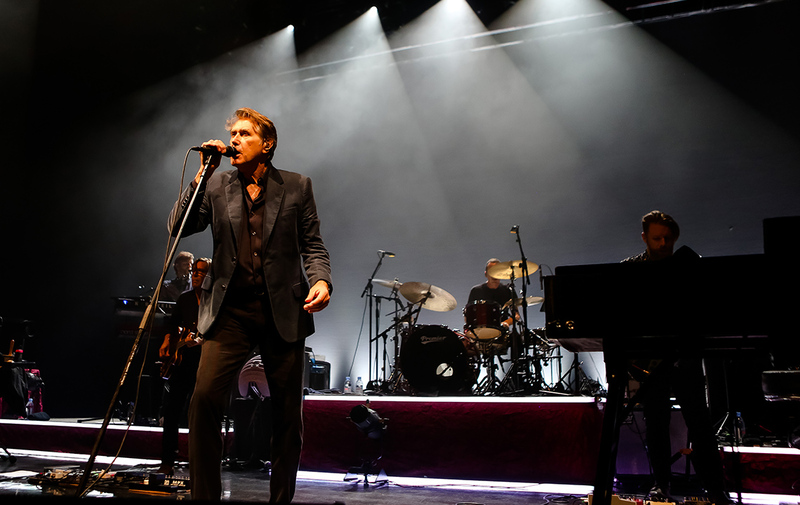 The British music legend Bryan Ferry is coming back to the Netherlands and Belgium for two very special shows. The former frontman of Roxy Music will play together with Metropole Orkest in AFAS Live on June 5, 2018. On June 7, they will play the Lotto Arena in Antwerp. Ferry, the man behind hits like More Than This and Let’s Stick Together, played with a full orchestra for the first time earlier this year in the Hollywood Super Bowl. Now, he will bring this concert to the Netherlands and Belgium. During this show, he will play his biggest hits together with Metropole Orkest. The career of the 72-year old Ferry began 46 years ago when he founded Roxy Music together with Brian Eno, Phil Manzanera, Andy Mackay, Paul Thompson and Graham Simpson. The group of six scored international hits with songs like Love Is the Drug, Avalon, More Than This and the beautiful John Lennon-cover Jealous Guy. In 1983, the band took a creative break, that lasted for eighteen years. This gave Ferry a change to work more and more on his solo career. As a solo artist, Ferry released fifteen cd’s, including Boys and Girls (1985). This album, with the monumental track Slave to Love, reached the no. 1 position in the British charts. Other hits Ferry released are Kiss and Tell and the ballad Don’t Stop the Dance.